We already know that there are 22 parallel universes and that each one of them is as real and valid as the other. However, what scientists do not yet know for sure is that there are alternate universes that have nothing to do with parallel universes. These alternative universes are created by every single choice that is made by every single human being at every instant of time. Scientists have theories about what they call multiple universes, multiverse or Many worlds interpretation, although what they have not yet said is that these alternative universes do not last forever as some people theorize. The universes that will last until the Big Crunch are the parallel universes, So we could go to a parallel universe if we had the technology to do it, but It’s impossible to travel to an alternate universe because these universes were created by decision makings. Interlocutor: Well, I think the issue is clarified. Going to another question that I think is quite interesting... Has it ever been a change in our history without us knowing it? For example, Kennedy was not killed… This question relates to time travelers. Eon: The history on this planet has changed many times and the planet has involuted. Interlocutor: The specific question is what was changed and who did it. Eon: A time traveler that alters something practically creates a new alternate universe and this new alternate universe can be transformed in the original one. Interlocutor: And the previous alternate universe? Eon: It simply dries up as a root that has no water. Interlocutor: Are only time travelers who can alter the facts that have already happened? Eon: Time travelers and also decision making. Interlocutor: Could you give us some concrete example? Eon: You know about reincarnation memory, but there is another memory, which is called temporary memory. Interlocutor: What is temporary memory? Eon: You've heard or read in some history books, that Charlemagne conquered many territories. Well, if a time traveler kills Charlemagne at five years old, that history of Charlemagne as conqueror has not happened. The same could happen with Alexander the Great, if they kill him being young, the history of conqueror Alexander has not happened… In these cases, you will never know about them as being conquerors. But your temporary memory has a kind of aftertaste of that. Interlocutor: That’s clear, but it’s a hypothetical story. Is there any real history that we could know? Eon: One true story is that Jesus was not crucified. Interlocutor: Will that be the true story? Eon: You cannot talk about true story. The true story is always the present one, the one you are experiencing. Just remember that I am above all alternatives. Interlocutor: How was then that story that Jesus was not crucified? Interlocutor: Are we talking about an alternate universe? Interlocutor: Yes, I remember it. Eon: Exactly. That book was written with temporary memory. Eon: But the book is incomplete because it does not speak about the Samaritan, nor of Jesus' encounter with her at Jacob's Well or anything of those things. Interlocutor: But the original story is the one we know, namely that Jesus was crucified? Interlocutor: But who changed that story in which Jesus did not died in Kashmir and finished being crucified? Was it a time traveler? Eon: They were decision makings. I already indicated that not all cases are time travelers who change history. Interlocutor: Are you saying that it was a Jesus’ decision? Eon: Yes. He thought that it might better to serve humanity by being crucified… Here, there is a very thin line between service and sacrifice, because somehow, we are talking about sacrifice with pain and not with joy. Jesus somehow wanted to continue conveying his messages, but he chose to make a blow effect, by calling somehow to his crucifixion, so that Christianity could come up with more force. Interlocutor: Had Jesus transcended the same without the crucifixion? Eon: Absolutely not. It would have been a story like so many others. Jesus is remembered precisely because of his martyrdom. In addition, the Apostolic Roman Catholicism is so basic that is not interested in Jesus’ messages and his love for humanity, they are only interested in miracles and in that alleged resurrection. Interlocutor: That alternate universe where Jesus died in Kashmir, did it dried up? Eon: Yes. The alternate worlds do not persist. Those that persist are parallel universes. Interlocutor: Is there any other case in history that has been modified? Interlocutor: There is another issue that I don’t fully understand and it’s about alternative universes, it was said that they last a bit… But don’t they last until the Big Crunch? Eon: Not necessarily… you suddenly take a different decision from that you could have taken it and then you create an alternative universe. This alternative universe is going to be your new universe – that's going to be the original one – and the previous one is going to last minutes and then it disappears, because you have made a decision. That is, if you make a decision, the alternative universes, of decisions not taken, last only moments. Do you understand? 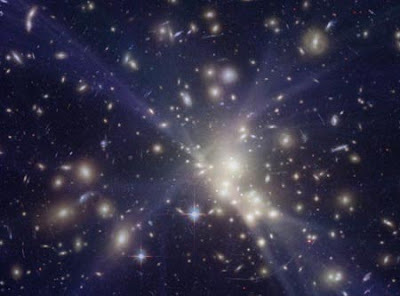 Interlocutor: And that universe where I was born, can it last until the Big Crunch? Then, there are two types of alternative universes, decisional alternative universes and paradoxical alternative universes. Interlocutor: When I disincarnate from an alternative universe, am I going to a spiritual alternative universe? Interlocutor: Now I understood, my Thetan no longer is 90% spirit, but is 80% ... Is that correct? Eon: Correct, you have gotten the idea perfectly. Interlocutor: It’s very clear… Is my Thetan aware of what the other 10% is doing? Eon: Of course. To make it clear, your Thetan has absolute knowledge of what H 1 and also H 2 are doing. Interlocutor: Is there a H 3? Eon: No, there are only two H, but it can be up to three decisions, because otherwise the spirit would be weakened. Eon: The events of the past can only be altered by a time traveler. If there is a story written and this story already happened, who from the future can tell what would happen if Columbus had not arrived to America, if Archimedes had not been submerged in the bathtub – which really did not happen – if the one who discovered the law of gravity would have not had the apple fallen on him, if the one who discovered black holes had not made the correct astronomical calculations, if the one who discovered the Fermat theorem had not planned to work on it, and so on. We cannot say “what would happen if", because it just happened. So we have to take this story as the real one. The case is different when a time traveler wants to change something because he believes it would be better, because if he does it, automatically creates an alternate universe. This entry was posted at Tuesday, September 29, 2009 and is filed under Cosmology, Paradigms . You can follow any responses to this entry through the .